We’ll try to use a new door opening mechanism this year. 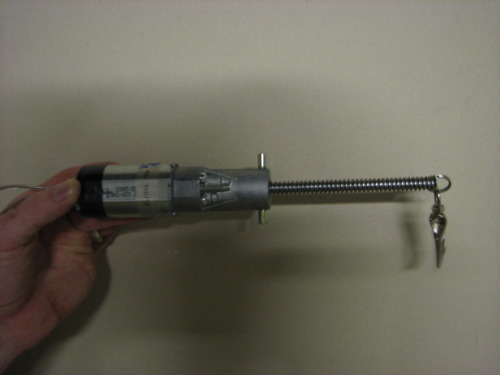 Using a linear actuator (a small electric motor) the pen latch will be opened and the door will swing open. The mechanism was installed this afternoon to allow the birds plenty of time to settle down before tomorrow’s release. Unfortunately the actuator is installed just above the camera’s field of vision, so we won’t see it operate – but the results should be clear…an open pen door! Hopefully being able to open the door earlier will give the birds that much more flight time on their first day.